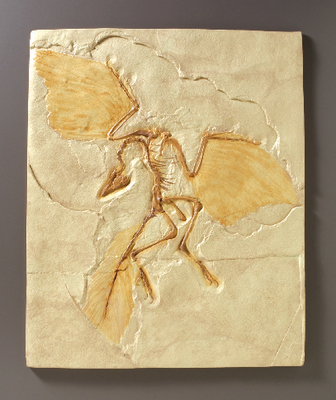 The famous Berlin specimen of this earliest known fossil bird is now available as a reproduction. It features well-defined skeletal structures and easily seen feather impressions. It is suitable for a wall display.